The American ecologist runs the oldest nature tour company in Brazil (founded in 1981), Focus Tours, alongside an NGO, ‘Focus Conservation Fund,’ as well as heading up the Brazilian NGO ‘Instituto Sustentar’ (Sustainability Institute) – in a lifelong mission to preserve nature and alleviate poverty. RIO DE JANEIRO, BRAZIL – Since arriving in 1980 with an Honors Degree in Environmental Studies from the University of Kansas, American ecologist Douglas Trent has been fascinated by Brazil, the most bio-diverse nation on the planet. He now heads up two NGOs, the oldest nature tour company in Brazil, and a host of other projects in a mission to preserve the natural treasures of his adopted country. 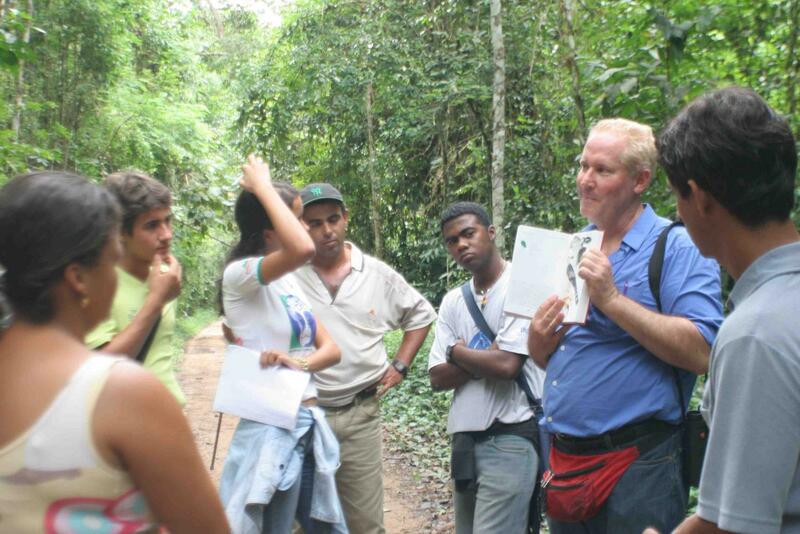 Douglas Trent and Focus Tours aim to educate foreigners and Brazilians alike about how both wildlife and local communities can be preserved together through the medium of eco-tourism, photo courtesy of Instituto Sustentar. Focus Tours, founded by Trent in 1981 and still running today, was the original vehicle that kick-started his mission of conservation and education, which has seen him go on to work with universities, multi-national companies, foundations and governments. “I was traveling in the Amazon in the front seat of a bus, through tall, lush rainforest, when I was shocked to come over a hill and see a wall of burning trees across a recently deforested field.” Trent explains. For Trent, this event caused simultaneous feelings of both excitement and despair. “This in turn led me to be one of the founders of the rainforest conservation movement. In 1981, I founded Focus Tours to use tourism to alleviate poverty and preserve nature.” He comments. Through this encounter, Trent saw an opportunity to make a difference by setting up a professional nature tour company with its own naturalist guides in Brazil. At the time, to his amazement, there was no-one offering nature tours in Brazil, despite it having the largest biodiversity on earth. Trent has always adopted an approach whereby the profits from his tours go to helping incentivize sustainability among the local economy. For example, his early partnership with a Brazilian jaguar hunter named Lerinho eventually led to the establishment of the 2,000 hectare RPPN – ‘Reserva Ecológico do Jaguar’ (Jaguar Ecological Reserve), encouraging the jaguar hunter that he could make more money by setting up a reservation and offering tours. “My tour clients were delighted to know that their tour was helping to preserve both the Pantaneiro culture and jaguar preservation.” Trent comments. This eventually led him and a friend to found the non-profit Focus Conservation Fund, his first NGO. 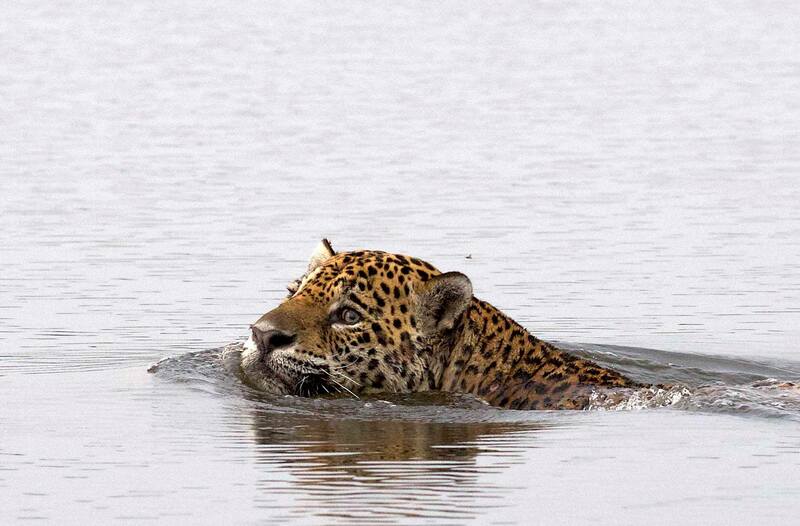 Trent still spends much of his time journeying along the Paraguay River where he continues to carry out ecological research with jaguars, otters and bird counts, photo internet reproduction. Douglas Trent’s website can be found here. The website for Focus Tours can be found here.